A groundbreaking mental health film, aimed at encouraging young people to talk about their feelings, will be shown at this weekend’s ‘Book Yer Ane Fest’ in Dundee. Now in its 10th year, Book Yer Ane Fest is an annual DIY Punk Festival, held across five days and three cities. The Dundee event, led by Make-That-A-Take Records, runs at Abertay Student Centre from Friday 30 November to Sunday 2 December 2018. ‘Foolish Optimism’, which was created by a group of young people in Dundee, premiered on World Mental Health Day, Wednesday 10 October 2018. The ‘Foolish Optimism’ roadshow is currently touring Scotland with the film, sparking discussions amongst a variety of different groups, from students and job centre staff to youth clubs and youth practitioners. 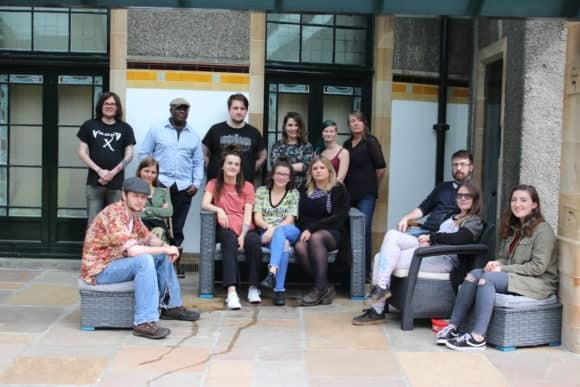 Bringing together international touring bands with established local acts and up-and-coming talent, the Dundee festival is being held in conjunction with Addaction Dundee, Dundee Foodbank, Dundee Refugee Support, Royal Life Saving Society and Young Minds UK. As well as music, there are film screenings, Punk Rock Flea Market and even Punk Rock Yoga. The film screening will take place on Sunday 2 December 2018 at 12pm, 2pm and 5pm – all in the Hannah Maclure Centre (top floor of Abertay Union). ‘Foolish Optimism’ was made possible by funding from the Year of Young People National Lottery Fund and Life Changes Trust.